Last year I gave up soda. I never drank a lot, but would often have a can of diet soda in the afternoon as a pick me up when I felt sluggish. After having several experiences of feeling a bit ill after having artificial sweetener, I realized my body hates. I would often get headaches in the afternoon but I never knew that it was the soda for sure until I completely eliminated it from my diet. Now I enjoy flavored unsweetened sparkling water and I rarely get headaches. I’ve never allowed my kids to drink soda or too much fruit juice, but we do still like to offer flavored drinks . 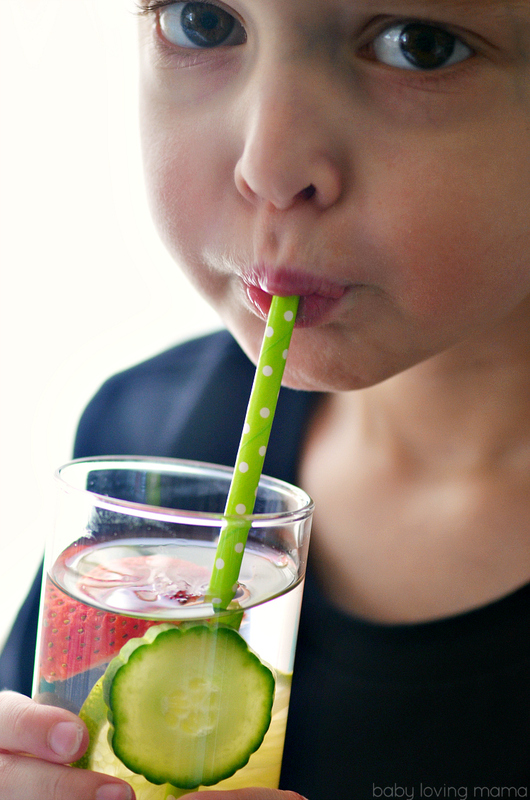 Infused water is a great option for kids and adults. 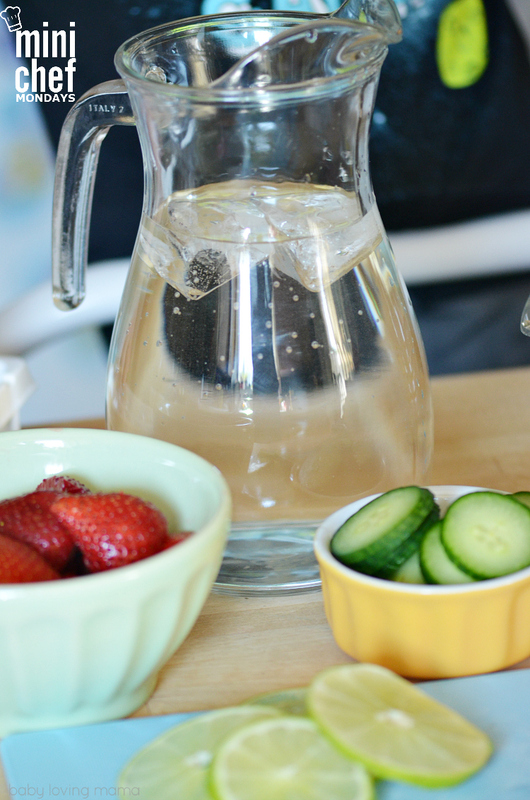 You can get delicious flavored water that is completely guilt free, refreshing and fun. 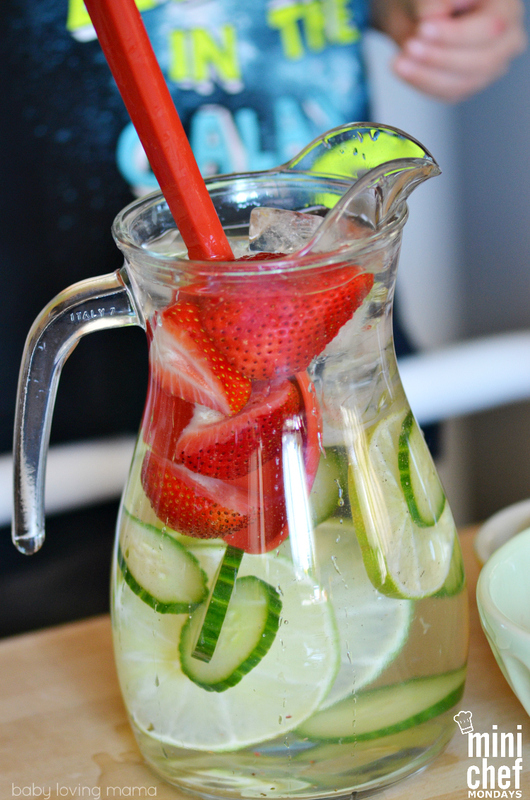 My son loved mixing the flavors in this Strawberry Lime Cucumber Infused Water for our Mini Chef Monday series! 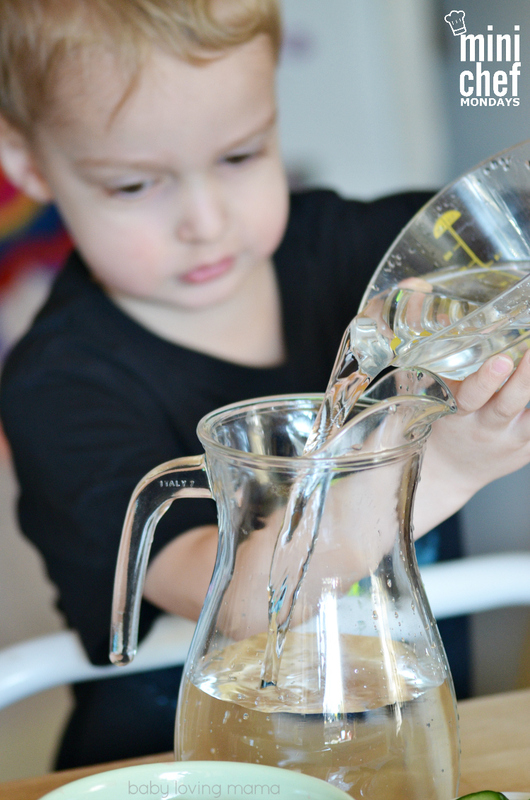 Wesley loves to pour so instead of adding water directly to the pitcher, I let him handle that step. Children very young can enjoy this step while they work on their coordination and build their gross motor skills. We like our water nice and cold so we added some ice, but this isn’t necessary. I let Wesley add the strawberries, lime and cucumber. Let your child choose their own flavor combination by offering them various ingredients like citrus fruits and fresh herbs like basil or mint. 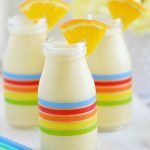 This is such a fun and easy recipe for kids of all ages and is a great way to get reluctant kids to drink more water. 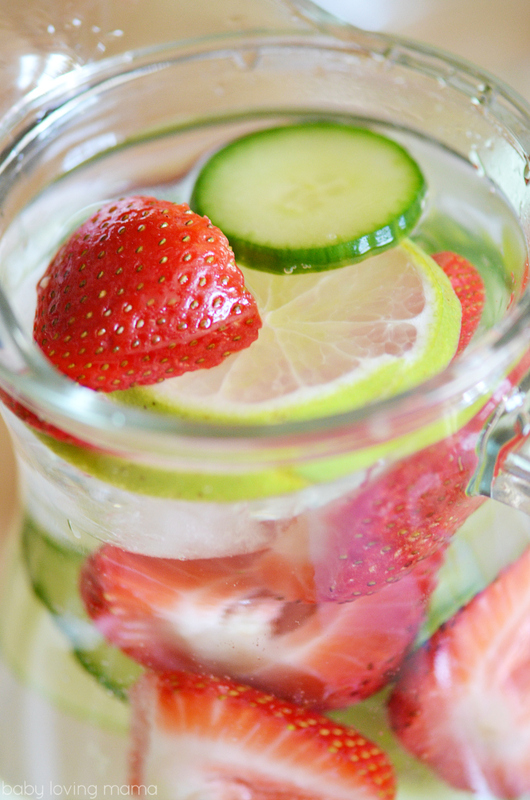 There really is no right or wrong way to make infused water. But if you are using a traditional pitcher like this one, know that certain fruits will break down in your water over time. Citrus fruits and cucumber will last for hours, but strawberries will start to crumble and change the color of your water. 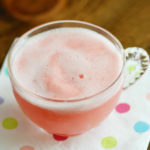 I would suggest removing the strawberries after an hour or so if you are making this in advance or use an infuser pitcher. Let sit for at least 30 minutes to let the flavors infuse into the water. 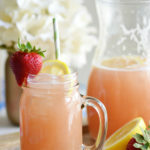 You can serve the fruit/veggies as garnish or fill the pitcher up again to infuse more water. Amounts are approximate. The strength of the flavors will depend upon how long you let the water infuse. The strawberries will break down so if you plan to let it sit a long period of time, consider removing them after an hour or so. 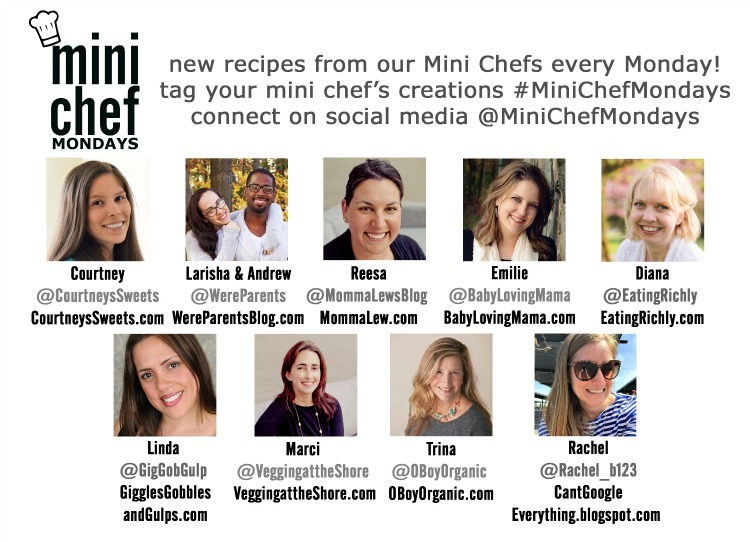 What flavor combination would you like to make with your mini chef? « What Makes a Superhero to a Child? I drink a lot of water but I also drink soda, which I would like to cut back on. 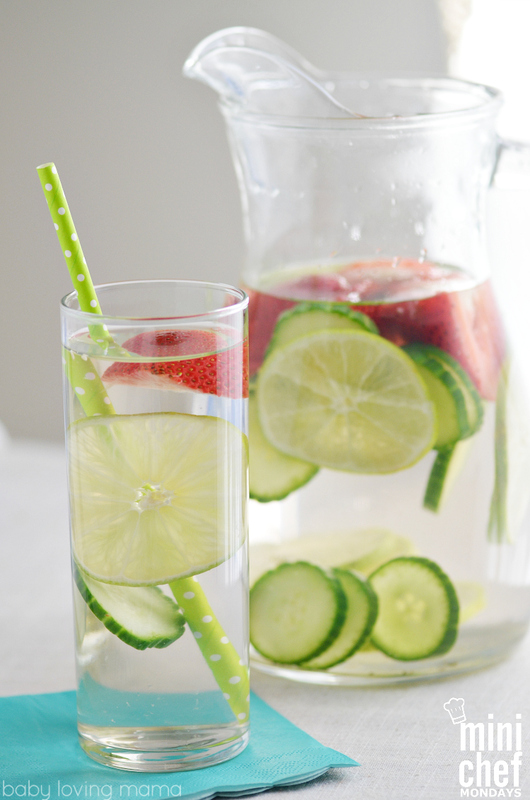 I have never tried infused water before but it looks refreshing. I am a big water drinker, and I do not like water at the store with flavorings. 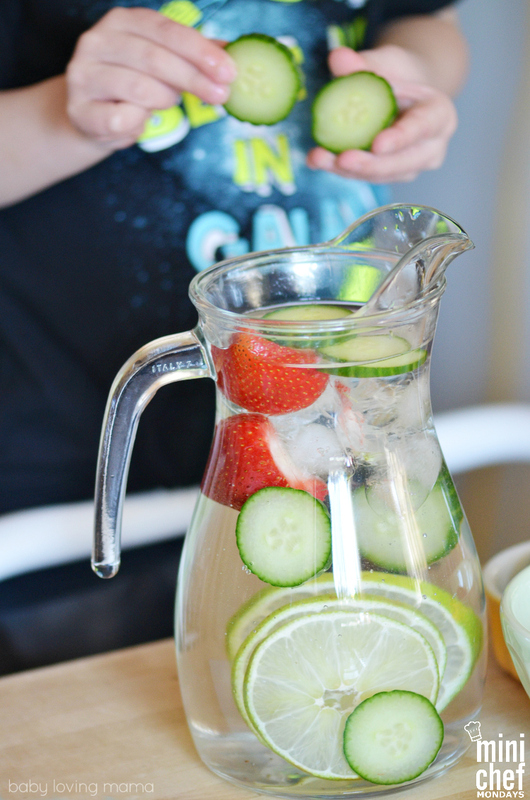 This Strawberry Lime Cucumber Infused Water is amazing and easy to make. I bet it tastes good. I will give it a try! Refreshing ! 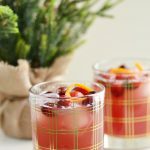 Makes us drink more water with natural flavorings .Great recipe. Thank you for sharing with us at #HomeMattersParty. We would love to have you again next week. 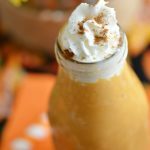 I need to make this drink. 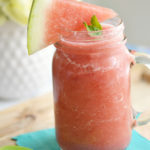 It is so hot right now and the drink looks so healthy. I need to pick up some cucumbers and have this over the 4th of July!